Season 8, Episode 9 titled Design Intervention aired 10/19/2018. View the Love It or List It resource guide. In 2018, J.M. 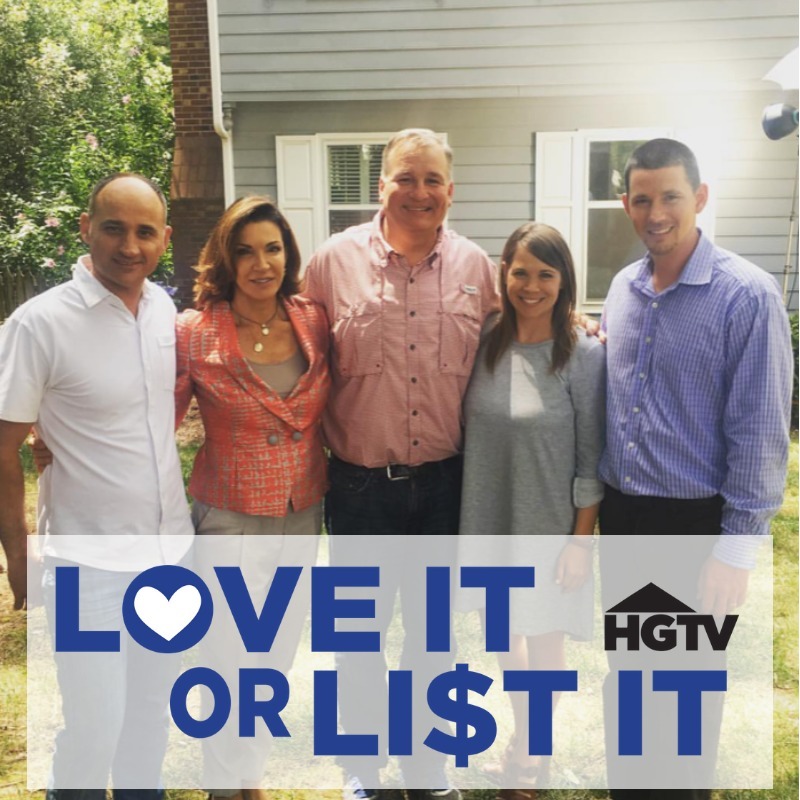 Davis Homes was chosen to provide construction oversight and remodeling services for the reality TV show Love It Or List It. The home featured in Season 8, Episode 9 titled Design Intervention, was located in Apex, North Carolina, and although it was literally under everyone’s noses on a homesite adjacent to the new Apex High School, the project was top secret for 11 months until the television show premiere in October 2018. The remodel was extensive and included removing half of the second floor roof to expand the unfinished attic space to create new living spaces including two additional bedrooms, a full bathroom, a linen closet, a laundry room and larger master closet. This was the first Love It Or List It project in which the roof was removed. Mark Davis thoroughly enjoyed the experience of working with the Love It Or List It crew, but especially enjoyed helping create a “new” home for the homeowners and their growing family. We have only wonderful things to say about Mark Davis and team with JM Davis Homes. The level expertise and attention to detail made our dreams come true with a total home remodel. The expansion work is flawless and looks as if it’s the original design build. Thank you for treating our project like your personal property and looking out for our best interests. We highly recommend JM Davis Homes for all your new build/renovation needs.